Quitting salt might sound like an impossible task to those who are used to the taste of salt in food. However, after knowing about the numerous health benefits of a low-salt diet, you will be motivated to at least give it a shot. A lot of dietitians and experts recommend cutting out the three white food items from your diet in order to stay healthy-Salt, sugar and flour. Salt intake is also restricted for patients with high blood pressure. Studies have shown that high sodium (present in salt) intake increases blood pressure levels and has an adverse effect on arteries, heart and blood vessels in the long run. Experiments have also shown that people with a low salt diet live longer than people who consume more salt. Since low salt diet keeps blood pressure in check, the chances of heart attack, stroke and heart diseases decreases significantly. This was confirmed in an experiment which showed that the chances of heart attack, stroke or heart surgeries like bypass decreased by 25% over a period of 10-15 years of low salt diet consumption. High intake of salt leads to water retention in cells. This gives us a bloated appearance which happens especially in the facial area. If you want to lose that chubby face, give up salt! Studies have shown that a high salt diet increases the risk of developing stomach cancer. These claims have been backed by The World Cancer Research fund. The reason is mainly attributed to the damage salt can cause to the inner lining of our stomachs. We lose calcium during urination and the amount of this loss depends upon the amount of sodium in our bodies. If we eat a high salt diet, more calcium will be lost through urination and the chances of developing bone diseases like osteoporosis will go up. 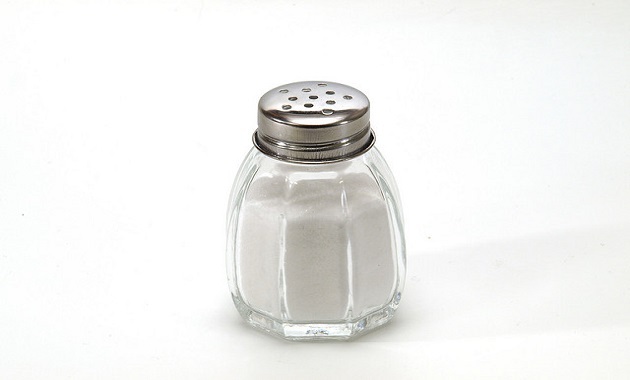 High salt intake forces our kidneys to work harder to eliminate the salt from our bodies. It also leads to more calcium loss through urination. This can lead to kidney stones and other kidney diseases. High salt intake has been linked Certain brain diseases where the arteries that carry blood to the brain get blocked or constricted leading to a decrease in blood supply to the brain. This can lead to diseases of the brain like vascular dementia. Too much salt in food leads to a blunting down of flavours tasted by our tongue. Substituting salt as a flavouring agent with garlic, herbs and lemon gives food more taste. Doctors recommend a daily salt intake of not more than 3.7 grams for adults. Studies have also shown that people slowly get used to the taste of low salt food and it is a matter of time and discipline. Reduce the amount of salt in your diet gradually by trying out low salt recipes and cutting down processed foods from your diet. Stay Healthy, Stay Happy with 1mg, India’s best online chemist shop ! The Polio Vaccine Menace: Should You Worry?